Add some luxury to your bathroom with the amazing, decorative Chatsworth Traditional Shower Riser Kit with Diverter, simply fit to the shower valve of your choice. 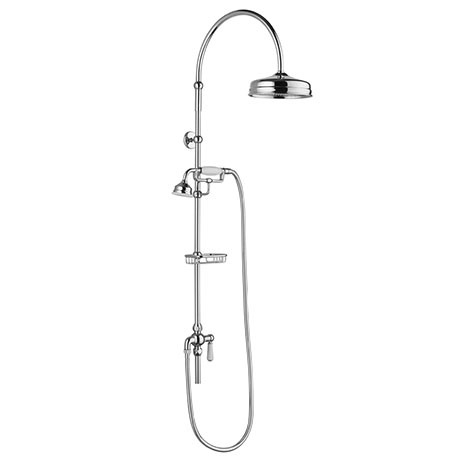 Features a luxurious rainfall shower head, supported by a graceful arching shower arm which is able to swivel 180° left to right. The diverter provides the option of diverting the water to the classically designed telephone shower handset, ideal for those times when you just want to wash your body. Manufactured from durable brass with a polished chrome finish for an added touch of style.